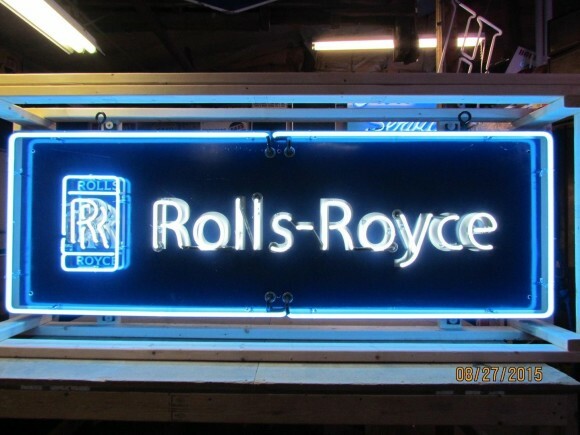 This 78″ by 27″ neon porcelain sign is for Rolls-Royce and has the Rolls Royce logo to the left. The neons light up in white and blue lights. The only text present is the company name, Rolls-Royce.